To celebrate St. Patrick’s Day, a Belfast-based coffee shop has created an extra boozy sweet treat. 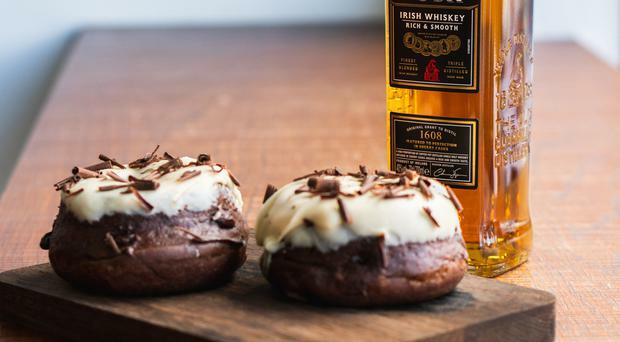 Coffee shop and doughnut maker Guilt Trip Coffee has teamed up with Bushmills Irish Whiskey to create the 'Black Bush Doughnut'. The limited edition sweet treat, which features Guilt Trip’s signature chocolate dough infused with a rich chocolate ganache centre, is topped with a brown butter Bushmills Black Bush glaze and a sprinkle of chocolate shavings, making it the perfect accompaniment to any celebratory tipple this weekend. The limited edition boozy dessert is available from Friday, March 15 until Friday, March 22 at Guilt Trip’s coffee shop on Orangefield Lane, Belfast.